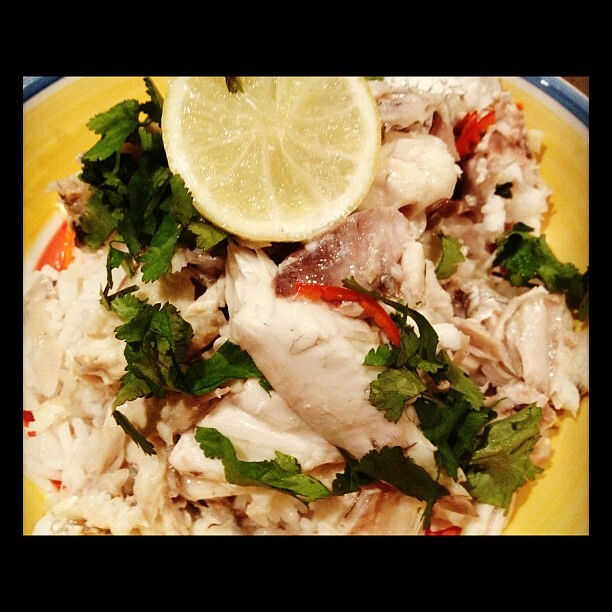 Visiting Thailand last year we had the most amazing steamed fish with chilli, lime, garlic and coriander. The best experience we had was visiting a local fish market and selecting our fish, then taking it across the road to a restaurant for them to cook it in the style we chose. 1. Make diagonal cuts along each side of the fish at 4cm intervals (this makes the fish cook more quickly, and easier to remove the fish from the bones). 2. Mix all of the ingredients except the chilli and coriander leaves. Add fish sauce to make more salty and lime juice to make more sour. 3. 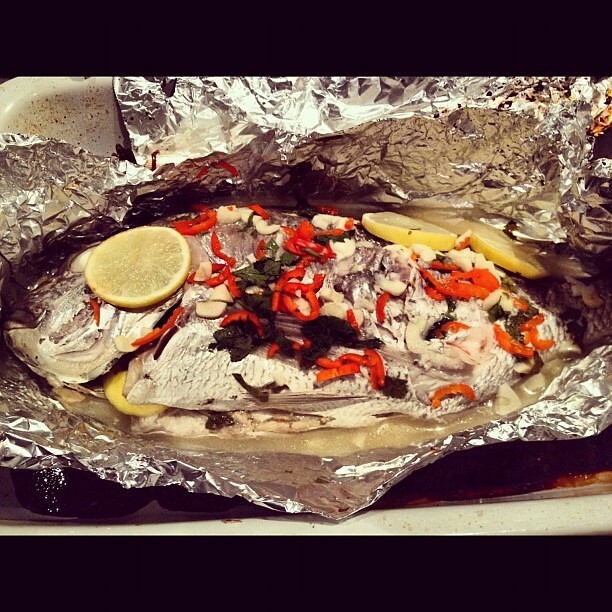 Wrap fish in tin foil and pour mixture over fish and steam for 15-20 minutes. 4. Garnish with the sliced fresh chilli and coriander leaves and sliced lemon or lime. Serve with plain rice. Pull the fish from its carcass with a fork and spoon. Put onto rice and drizzle some of the liquid over it and enjoy!